Left: computer rendering of alternative central cross units. 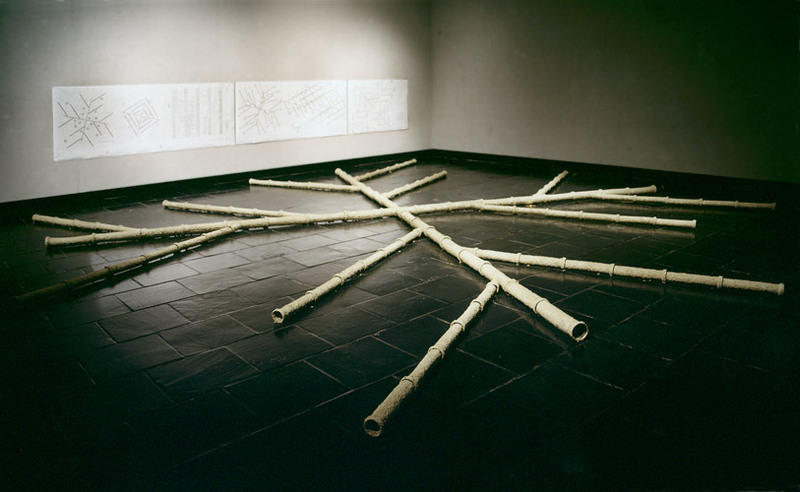 Center: installation view, group exhibition with initial unfired coating of Caneadea Shale slurry, Fluency, Alfred University, Alfred, NY, 2001. 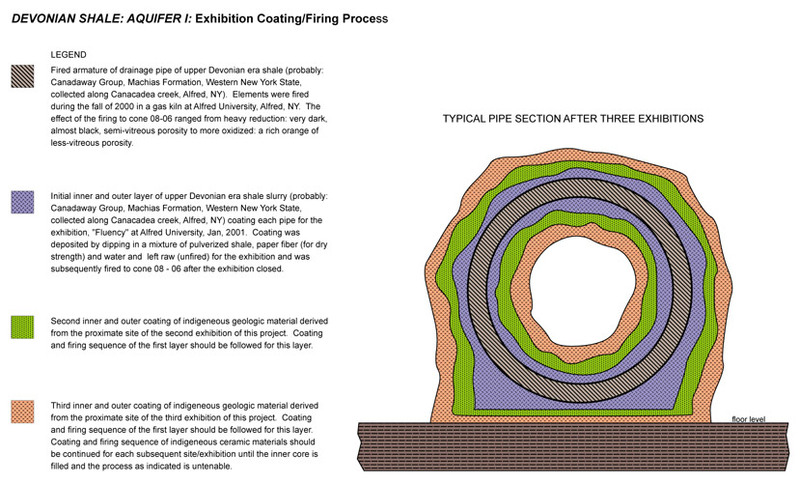 Right: Exhibtion Coating/Firing Process diagram showing typical pipe section through three exhibitions. drawings in the above center image. 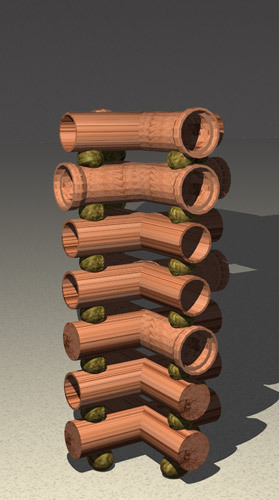 Structure as shown was coated with raw Devonian Caneadea shale slip (the same material as the extruded pipe are made of), for the exhibition, Fluency, at Alfred University, 2001. Devonian Shale: Aquifer I and a limited edition of a book describing the project and research, with the same title, by FractalTerror Press, is in the collection of the Schein-Joseph International Museum of Ceramic Art, Alfred University, Alfred, NY.